Microservices are a huge trend, and microframeworks are perfect for them: put together just a few files, write some code, and your done! But Symfony is a big framework, right? Wrong! 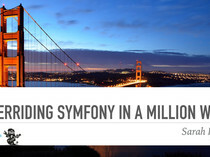 Symfony can be as small as a single file! 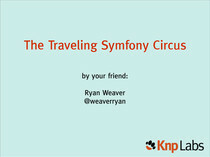 In this talk, we'll learn how to use Symfony as a micro-framework for your next project. Your app will stay small and clear, but without needing to give up the features or third-party bundles that you love. And if the project grows, it can evolve naturally into a full Symfony project. So yes, Symfony can also be a microframework. Tell the world!